There are many reasons why people are opting for covert and discreet security cameras, either not wanting to expose their security cameras to the general public or concealing them from the people who are being filmed. So how can we choose suitable low-profile security cameras, like a low-profile outdoor wireless security camera, covert security cameras with audio? There are a few factors you need to consider. Video surveillance cameras, such as dome-shaped security cameras, mini-dome security cameras, hidden security cameras, spy security cameras, peephole or doorbell security cameras are commonly seen as low-profile security cameras. Hidden cameras or spy cameras are used strictly in residential areas, peephole cameras and doorbell cameras, on the other hand, are catching on among homeowners. For home security cameras, placement of surveillance cameras has a lot of to do with its visibility to the passers-by, intruders, thieves or neighbors. Security cameras placed right at the front door can be easily spotted by anyone knocking at the door while security cameras mounted to the soffit or overhang of the roof, or under the eave pointing at the front porch or driveway can be less likely to be spotted instantly. Ceiling-mounted white-colored dome surveillance cameras, similarly, will naturally blend in with white ceiling. Traditional analog security cameras and IP network security cameras (PoE & WiFi) require a bit of wiring and hiding them. If security cameras wires and cables are loosely tucked into the attic or dangling out on the wall without proper hiding, the camera itself will be at risk of being tampered or cut off. Hiding the wires and cables properly, for example, wiring them through the attic or tucking them into a junction box and conduit can reduce the risk of the cable being susceptible to mishandling and exposed to mutilation and impacted by elements. 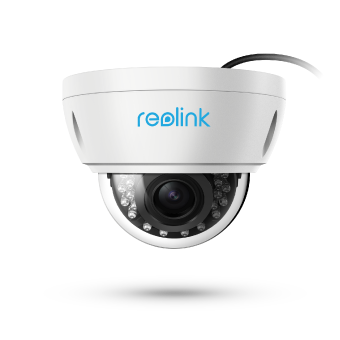 Being as one of the most bestselling dome IP cameras, Reolink-422 is relatively covert, particularly useful for the front door, church or places where you don’t expect passers-by or visitors to be instantly aware of the existence or whereabouts of surveillance cameras. It’s important to note that price also matters. It would not charge any extra monthly subscription fee and could be well within your budget if you are shopping for cameras running under $200, at $104.99 including free shipping to countries like UK, U.S., Canada. 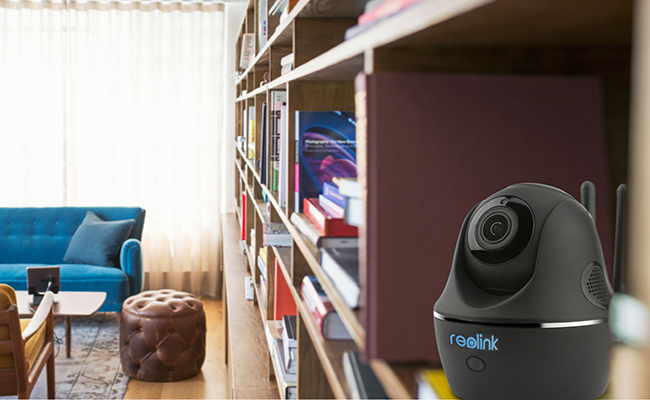 Reolink C1 Pro is a low-profile wireless security camera, widely used for indoor surveillance, such as home living room, baby’s room, basement, garage, office, workshop, store, shop, boutique store, apartment, small apartment, granny’s house etc. Instead of being relatively intrusive, C1 Pro security cameras take on simplicity and minimalism to soften intrusion with the surrounding, especially black-colored mini dome cameras, they can easily blend in with various settings such as a bookshelf, TV stand, table or up on the wall. 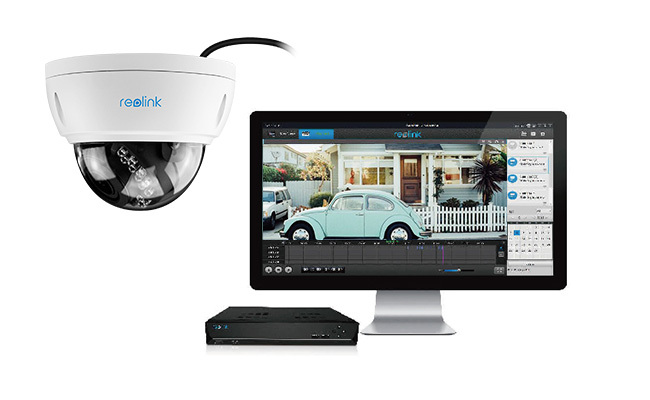 Apart from the unique design, Reolink C1 is packed with a host of amazing features that might be extremely handy and useful for users, priced at $84.99. 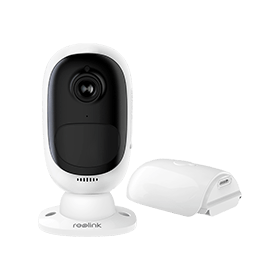 Battery-powered wireless security cameras – such as Reolink Argus 2, get rid of wiring hassles once for all, low-key and inconspicuous. It’s a great option for keeping eyes on the property, front door, porch, backyard, mail, package, car, tools, lamp post, garage door, basement, shed, barn and any places you desire. Reolink Argus 2 is beautifully designed to stand on a flat surface, mounting bracket, metal surface or on its magnetic mount. Unnoticeable, as they can be placed under the eave, hidden in the tree, shaded on the corner. Priced around $130 including free shipping to countries like UK, U.S., Canada, it’s affordable, portable and highly flexible smart video surveillance camera for home, apartment, office, and business settings. How about Hidden/Spy Cameras for Home? Well, hidden video surveillance cameras or spy cameras are used to record people without their knowledge, a great alternative to the covert camera. However, their applications are subject to various legislation and regulations, depending on different countries and different states. It’s important to read necessary legislation and regulations on the applications of hidden camera and the legality of nanny cameras in residential areas before hooking them up to monitor your property. This entry was posted in Buyer's Guide and tagged hidden cameras, in low profile, inconspicuous, security cameras. James, they are brilliant ideas! Whether it’s a home low-profile security camera or hidden camera, surveillance cameras with HD resolution and quality pictures are significant! Quality and reliable home security cameras like Reolink are widely used in front door, backyard, driveway, garage and various places for keeping an eye on the areas of interest.